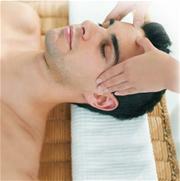 During the Balinese head massage the head, neck and face are massaged with the purpose of manipulating energy channels. The goal is to clear blocks in these energy channels that cause a build-up of negative energy that are purported to cause ailments. The belief is when the energy does not flow properly, negative energy builds up, causing common ailments, including stress, pain and aches, and baldness or hair loss. This type of massage helps to clear up your mind and improves blood circulation, bringing more oxygen to your brain.